Jenna Johnston is a junior student reporter for DHS Press. The reason she became a member of DHS Press was because she has a strong passion for writing and is always interested in what is going on around the community and around the country. Journalism gives Jenna an outlet to voice her opinions but also to report on things that she is interested in learning more about. 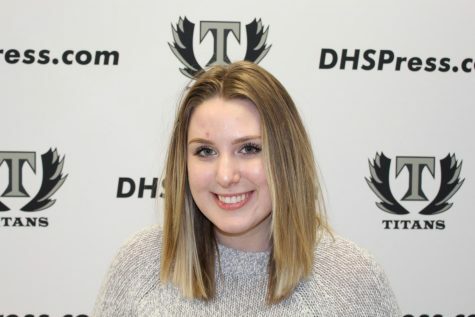 As a member of DHS Press Jenna typically covers events going on in the school, more specifically, she covered the events that the Jewish Student Union were involved in during this school year so far. She has also filmed videos for DHS Press that are related to politics where she asks students a single question related to an event currently occurring in politics. Jenna’s goals for journalism are to write more articles and turn the videos that she has been making into a continuing series.